A bright addition to spark your creative side. Our company recently finished this beautiful art studio addition in Midlothian. 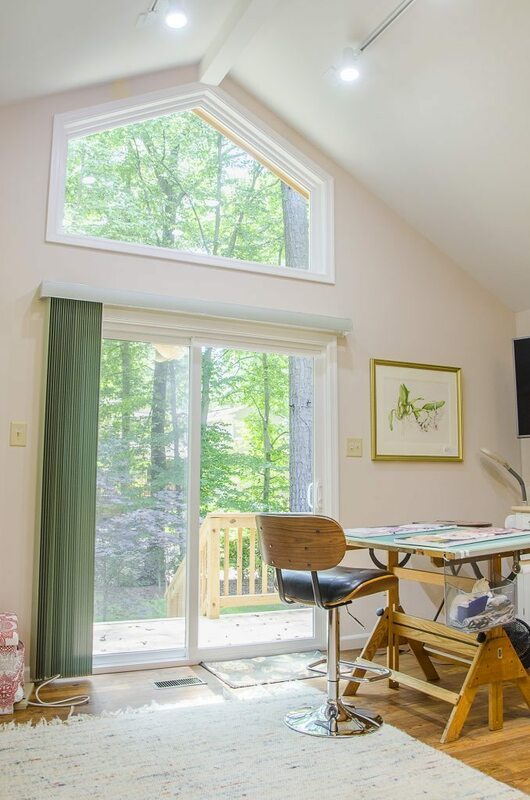 These clients wished to have an art studio space with lots of natural light and a design that was both pleasing to the eye and matched the feel of their home. 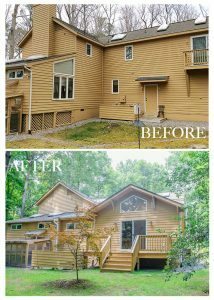 The addition is about 24′ x 30′ and is nestled between their master bedroom and living area. One of the most interesting aspects of this project is the architecture. 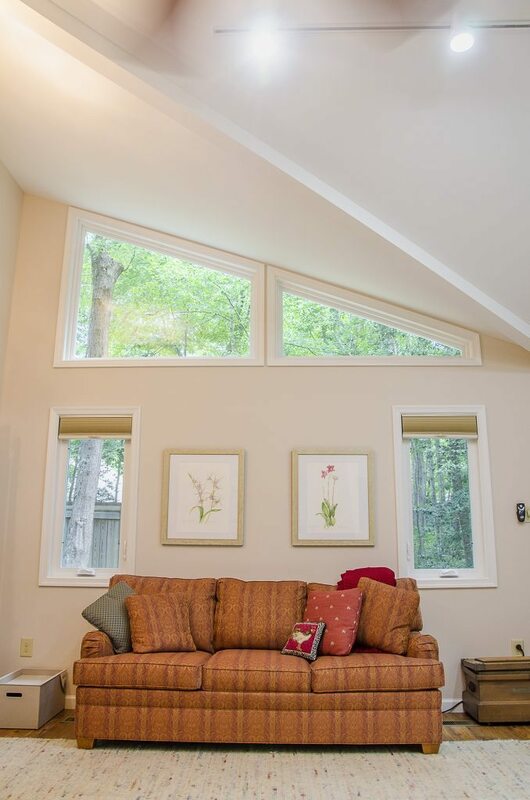 The “A” line roof allots room for an extra window above, creating more natural light. No art studio is complete without an inspiration board. 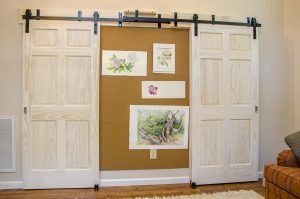 The barn doors (pictured left) frame a bulletin board that is perfect for hanging prints or inspiration pieces. Behind each door is a storage closet for supplies and miscellaneous items. In addition to an art studio space, the new living space includes a galley style office and large bathroom to the left. This bathroom includes another window, now in the form of a skylight. 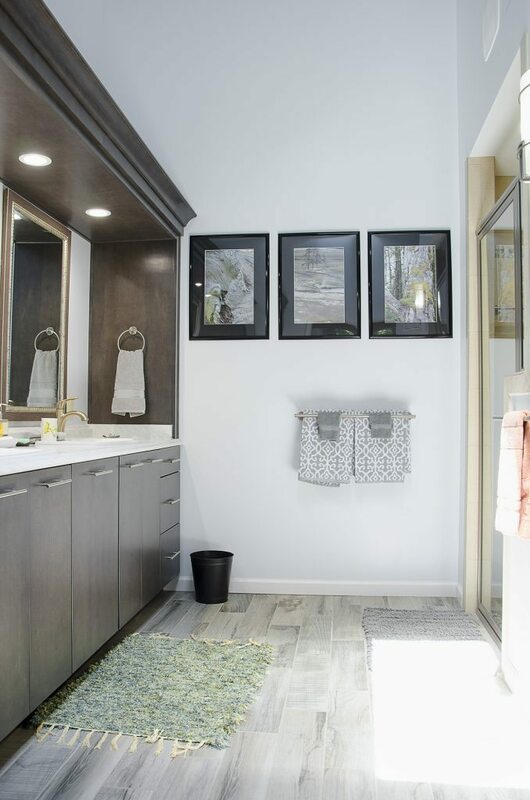 This bathroom is complete with a double vanity and lots of storage space. We love the gray tile flooring to accent the cabinets! We loved working with our clients every step of the way and we are so thrilled that they are happy with their new addition! 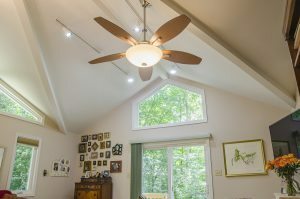 Our clients said: “[Balducci Additions and Remodeling] were able to artfully construct an unusual, vaulted ceiling in our master bedroom addition. Along with the beautiful bathroom, the results are admired by all who see it. 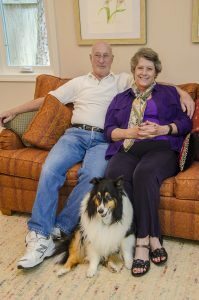 Great work all around.” We wish them the best and hope that they will enjoy this space for many years to come! Some one did a great creative job !!! most of these stuff in quality? Great post. I found myself checking continuously this weblog and I’m inspired! Extremely useful info specifically the closing section 🙂 I take care of such information much.